Graeme Wilkes, Medical Director and Consultant in Sport & Exercise Medicine (SEM) talks about how Connect Health is closing the gap on clinical outcomes and evidence based treatment. The Connect approach to clinical guidelines? Every organisation has a core set of clinical guidelines but being able to evidence their use is a different matter. Quite often they sit in a drawer gathering dust. After an audit last year, we discovered our clinicians didn’t regularly use the guidance, despite being comprehensive and of high quality, because they were far too complex and not user friendly. So we set about replacing them with something easy to use, colourful, evidence based and memorable. The key was to make sure they were up to date with the current evidence and presented in a practical way. We chose a traffic light system which is a unique and innovative way to present clinical evidence. The front page offers a very easy, memorable and visible summary backed up with a lot of detail and references behind. In many ways, people talk about the green (effective treatment) and the red (do not do this treatment), but the amber (uncertain treatment) in the middle is the key. A lot of people may be working there and not appreciate it is an amber situation. The cultural change needed was instead of people working randomly across the traffic lights, they realised they had to focus on the greens, pick out the ambers as appropriate and stay away from the reds. The other concept is that the guidelines are ever changing and certain treatments can and should move across the spectrum. We recognised that to redo all the guidelines in their complexity would just reproduce what we already had. So the plan was to identify the 10 most common conditions. That way, we could cover off 70-80% of what we see on a daily basis. 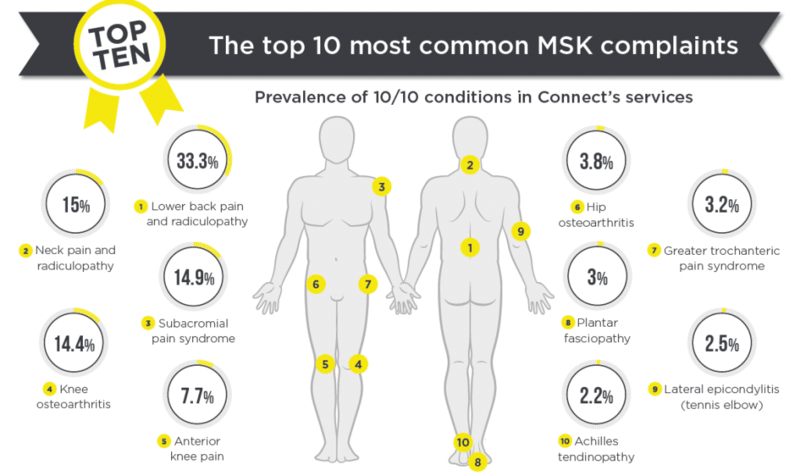 So we carried out a survey with our clinicians to identify the 10 most common conditions. We then asked for volunteers to be appointed as clinical champions and were totally oversubscribed. The clinical champions were then asked to spend around 10 hours of development and research time (5 hrs in company and 5 hrs in their own time). That way they got an excellent learning experience and personal development which really attracted people to the task. We’re now developing another 5 conditions and based on the success of the first 10, we were inundated with people and had 35 volunteers. This next set should be ready in the next 2 months. The key to success is how well it is used and is it making a difference? The fundamental thing with any guidelines is, are they actually being used? We are linking in the treatment categories on the traffic light system, with the treatment clinicians are actually delivering. We are then able to report on an individual and general level what outcomes are associated with what treatments. Considering we are seeing over 250,000 new episodes of care a year, this gives Connect significant robustness as to whether amber treatments move to a red or green category. On an individual clinician level, we can start to help change their practice where required, to be more evidence based, linking in their preferences for treatment to their own outcomes. This allows clinicians to recognise where treatments are less effective and enable them to aspire to develop good practice as demonstrated by personal outcomes and their colleague successes. Benchmarking against peers is fundamental in learning what works and what doesn’t work.